Originated between the strata of loess and sand. 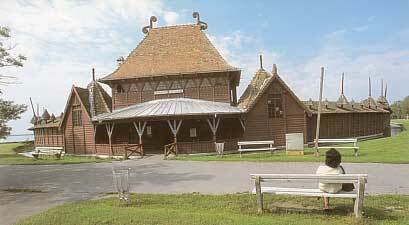 Palic Lake is situated in the northern Backa (Vojvodina), 7 km away from Subotica, being its constituent part. It was first mentioned in 1690 under the name of Palus, supposedly named by the old waste land Palij, mentioned as early as 1462, or maybe by the settlement of Paledjhaza mentioned a century later. 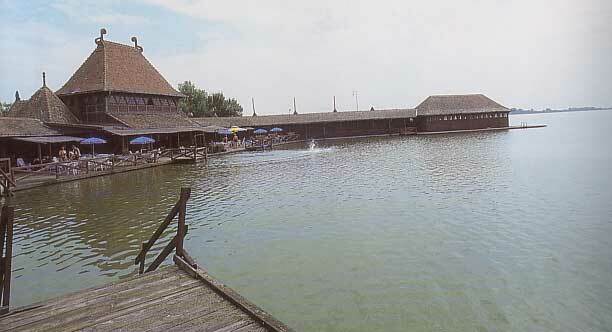 Palic lake was salty once, so that salt used to be extracted from it. In 1780. Janosh Gottfried Liebertrauth, the main doctor of Backa region, pointed to the high content of salt in the lake’s water, indicating its healing ability. In 1823 the lake was mentioned as containing healing water. In 1856, the first chemical analysis of the water was performed which confirmed this presumption. The first hot bath was built at the lakes bank in 1845, so Palic became a Spa. In the middle of the 19th century, a luxurious park was planted at the lakes north bank (1853), and “Small Inn11 (1850) and the first hotels (Trscara – 1853. Old Hotel” – 1857) were built. 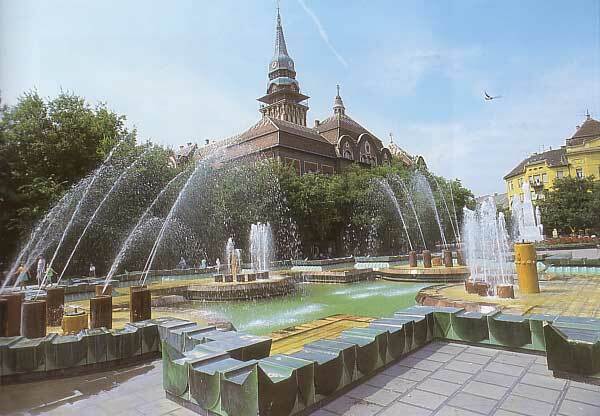 Wealthy people from Subotica raised their villas and summer houses. Since 1897, a picturesque and comfortable tram used to run from Subotica to Palic, giving special charm to this known summer resort. 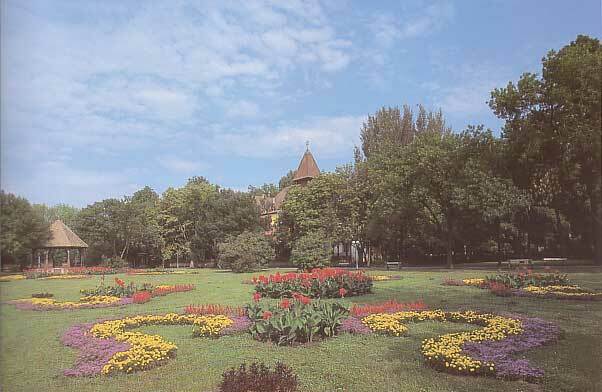 Palic Spa and summer resort flourished at the beginning of the 20th century. In 1912, on September 15th, when the famous edifice of the Town Hall was opened in Subotica, the Palic bath got its attractive Big Terrace. 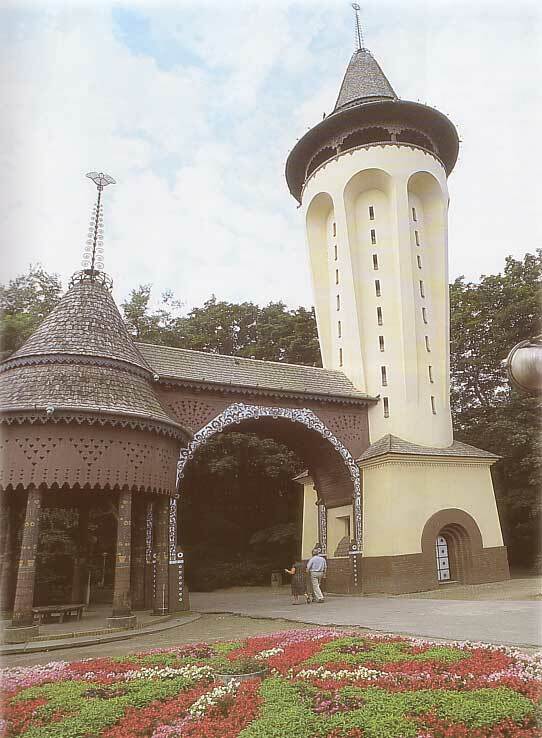 Women’s Strand (wooden bathing buttress) and a water tower. The water of Palic Lake is sulphureous, alkaline and muriatic (24° G and contains lithium and rubidium used in curing rheumatic and nervous diseases. The lake mud is also curative since strontium is its main constituent, aiding r. healing broken bones. It is for that reason that medical treatment in this Spa is conducted by bathing in heated water (hot bath) and by applying bandages or’ heated mineral mud (mud bathing). Electro-therapy and massage are also used in medical treatments. 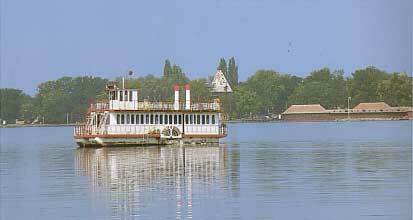 Today, Palic is a favourite picnic place for not only the citizens of Subotica, but of those from the whole Vojvodina and other parts of Serbia, as well as an attractive natural healing place (Lake-Spa) at 102 m altitude. (In the course of 1972, the lake was dried down for the purpose of redressing, so the Spa was not open that year). Palic Lake offers the possibilities for recreation, various water sports and strolls in the spacious park with beautiful flower beds, copious and cultivated lawns.